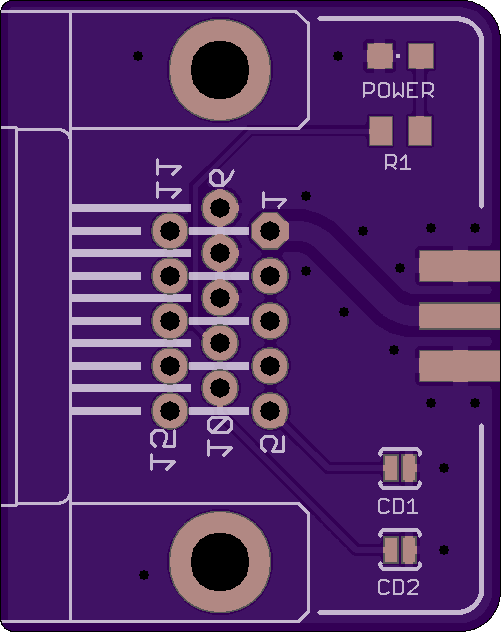 2 layer board of 1.00 x 1.26 inches (25.4 x 32.1 mm). Uploaded: May 13th, 2018 01:23. 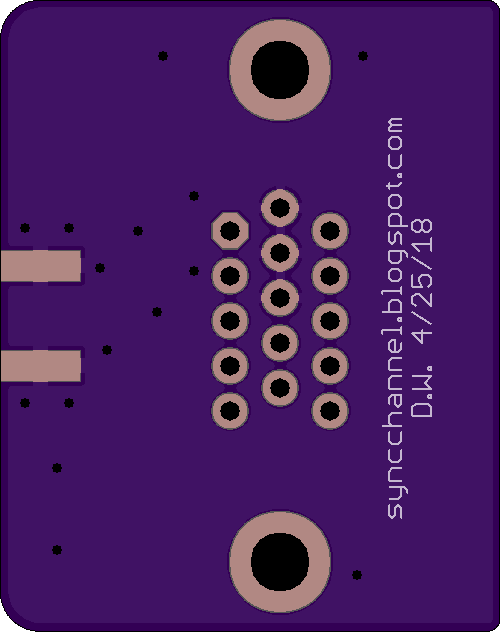 For use with USB to VGA adapters and Osmo-fl2k. The RED “transmit” pin from the adapter is broken out to an SMA connector. 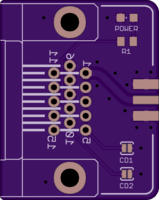 The +5V pin is used to drive an optional power LED. The Cable Detect pins are broken out to solder jumpers to connect them to ground. Cable detect is taken care of in software so these are not currently needed, but I broke them out just in case. This board does not provide impedance matching, attenuation or filtering. It is merely an SMA breakout.